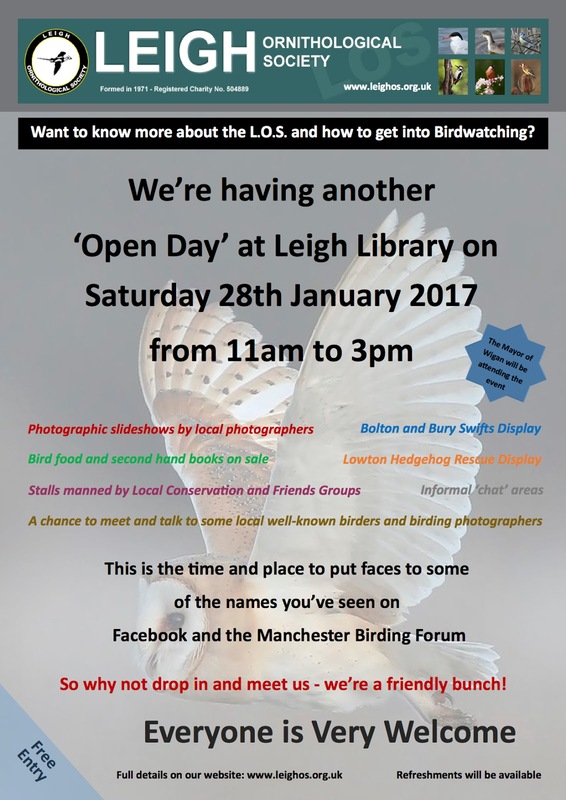 Saturday 28th January, 11am - 3pm, upstairs in the Derby Room at Leigh Library. The event will be attended by the Mayor of Wigan and local M.P. Andy Burnham. Refreshments will be available. Everyone is welcome and admission is free. A nature trip and a presentation have been organised by Leigh Ornithological Society. LOS is inviting residents to its trip to Blacktoft Sands RSPB reserve and North Cave Wetlands on Sunday 7th May. The following Friday, 12 May, the society will host a presentation entitled Shropshire’s Magnificent Peregrines in the Derby Room of Leigh Library from 7.15pm. To book your place on the day trip contact LOS secretary Angela Pike on 07816 178582. Everyone is welcome with a small donation from non-members accepted.